Sound Oasis® is the world leader in sleep sound therapy systems. 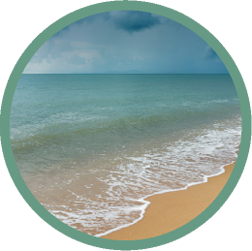 We take relaxation and sleep therapy seriously and hope that this Nature Sound Therapy app provides a soothing environment that helps you to block out unwanted noise, relax and sleep easier. This app can be an effective tool to help you relax and fall asleep using sounds as a therapeutic masking tool. Nature sounds create a familiar, highly effective way to relax, block out unwanted noises and create a soothing and consistent sound environment. These Nature Sound tracks are carefully designed so that you experience our world famous sounds uninterrupted for the best sleep experience possible. Our exclusive equalizer feature will allow you to change up to 10 different sound frequencies so you can customize that specific sound to your liking. I use this app whenever I travel. The sounds are authentic and I particularly like the waterfall when sleeping. My kids like the sounds too! Thanks Sound Oasis! If you ever owned a Sound Oasis system this app is for you. 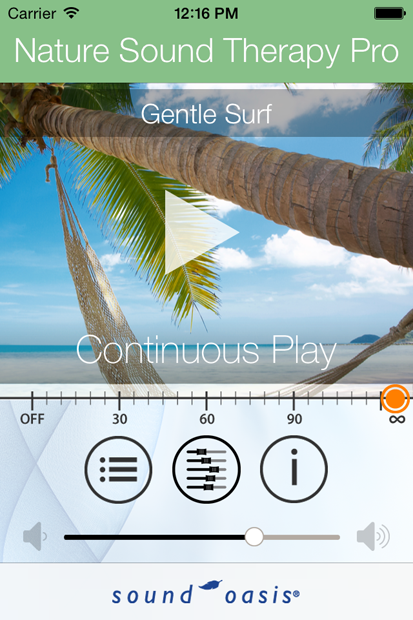 If you never owned a Sound Oasis system this app is DEFINITELY for you. The sounds are of excellent quality whether you listen over your phone speaker or high quality speakers. Unfortunately no mixing of sounds is available just yet, but maybe now it will be (hint hint)? If you enjoy a good thunderstorm with some real bass in it like I do, welcome home. Don't want want that bass change the Eq and you can be satisfied. Growing up when it rains/thunderstorms, we say oh it's a good day to sleep. In future updates, I'd like to see the option for in-app purchases of the sounds by Dr. Bartel & Dr. Halpern from cards SC-300-01 & SC-300-03, as well as Hilary Stagg's "Serenity" and Chuck Wild's "Late Night" from card SC-300-03.